As an incorporated not-for-profit society, BC Balance and Dizziness Disorders Society complies with the provisions of the BC Society Act. This Act requires BC Balance and Dizziness Disorders Society to have a constitution and bylaws that set out the rules that govern our activities. A new BC Societies Act comes into force on November 28, 2016. It will repeal and replace the old Act. Transitioning to the new Act requires all BC societies to file bylaws compliant with the updated legislation. 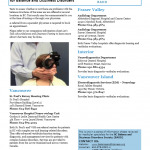 BC Balance and Dizziness Disorders Society members approved revised bylaws at a Special General Meeting on September 22, 2016 - they will come into effect on November 28, 2016.